We were hired to conceive of a brand identity for a new consulting company, founded by John A. Hudak, III. 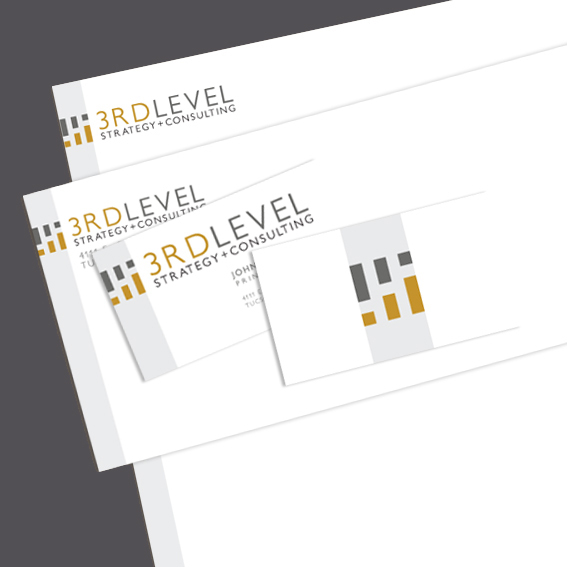 Using his own name as his starting point, he called his company 3rd Level Strategy and Consulting. We took the "III" and developed a logo that incorporated three lines in a mirror reflection of themselves to form a subtle capital H in the negative space. A complete set of stationery was designed with the new logo and printed on white linen stock.